No detail overlooked with this brand new Showcase Home offered by Estridge Homes. This home offers everything the modern buyer is looking for! First floor offers two story great room with coffered ceiling, study, tech room, and huge Harvest Room with. Gourmet kitchen complete with SS appliances, double oven, gas cooktop, granite, and W/I pantry. Second floor offers 4 bedroom/3 full baths. Owners suite with oversized shower, two walk in closets with direct access to laundry room. Bedroom 2 and 3 share a Jack and Jill bath, and Bedroom 4 has attached full bath ensuite. Lower level partially finished with full bath rough in. 3 car garage. 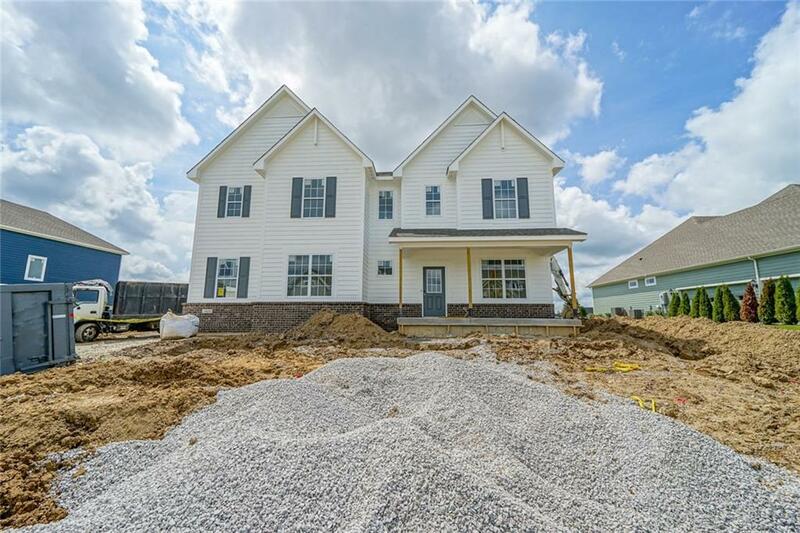 Expected completion date is end of September - don't wait til then, this home will sell fast.